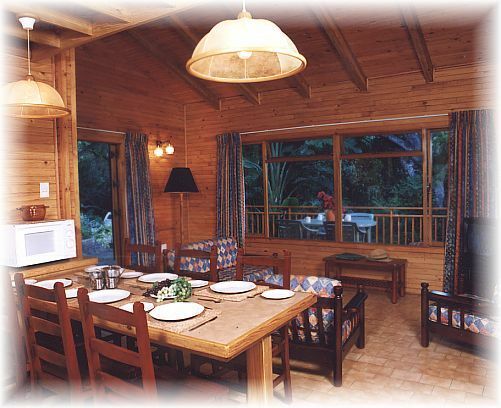 The Timber Cottages (Chalets), are situated in a beautiful position against the hill, nestling amongst indigenous Milkwood trees, overlooking the Resort and Lake. 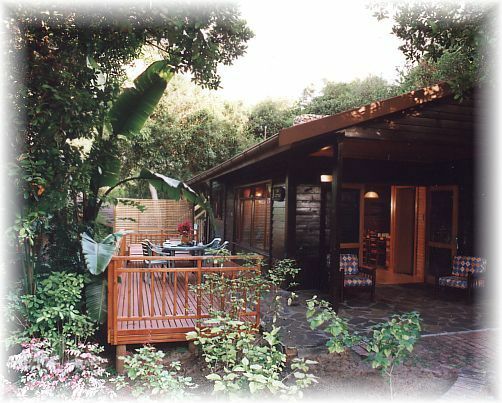 They comprise three bedrooms (one with double bed, the second room with single beds and the third room with either single or adaptable bunk-style beds) an en-suite bathroom with shower, toilet and basin, an open-plan lounge with fireplace through to kitchen, a built-in braai (barbeque) on the large timber deck and a second bathroom with a bath, shower and a separate toilet. 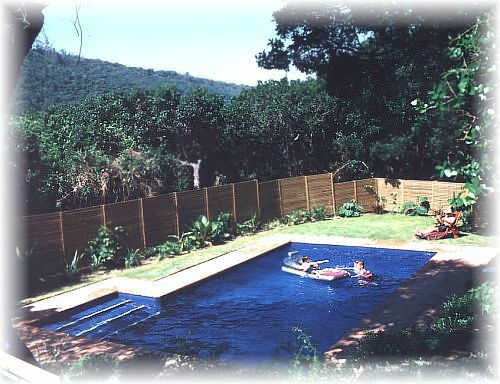 Timber Cottage residents have their own private and exclusive Swimming Pool. 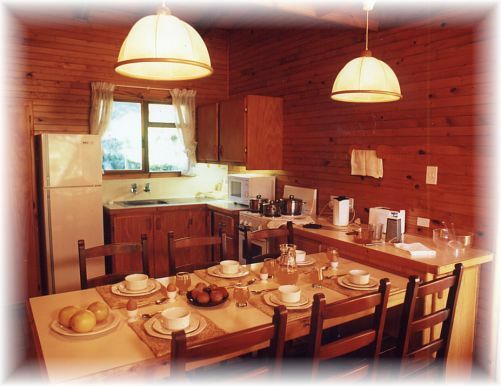 The Timber Cottages are fully furnished, self-catering, including bedding and bath towels, electric 2-door fridges, Stoves with ovens, Kettles, Toasters, Microwaves, attractive crockery, cutlery and glassware as well as everything from a wooden spoon to oven gloves, braaigrid and tongs. Remote control TV (DSTV Hotel Bouquet). 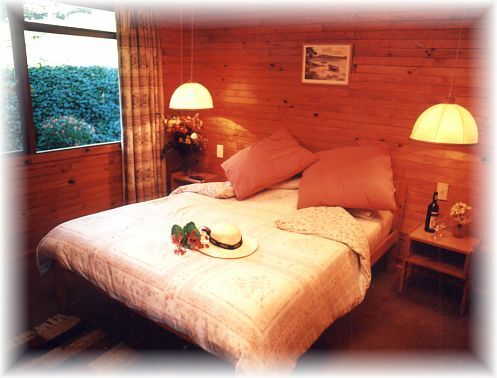 All accommodations are serviced daily and have been graded 3 star self-catering.